September 24, 2018  It's 1988. A gallon of gas is about 90 cents and movie tickets average $3.50 a flick, but what was new in your music collection? February 5, 2018  Ranaldo's latest solo album Electric Trim is a lovely slice of indie pop. 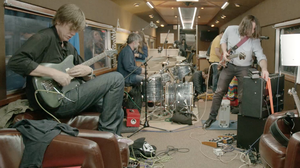 Hear the Sonic Youth guitarist in a live performance and new interview. September 12, 2016  On "Murdered Out," recorded with producer Justin Raisen and drummer Stella Mozgawa, the former Sonic Youth member takes inspiration from cars painted matte black to obscure identifying features. 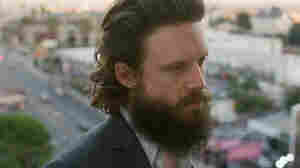 September 9, 2013  Watch the inaugural performance from multimedia artist Doug Aitken's Station To Station project. August 13, 2009  Sonic Youth's "Malibu Gas Station" is almost certainly the greatest six-minute opus ever written about Britney Spears. That's assuming, of course, that the song is about Spears, an idea supported by lines that seem to refer to her childhood performing career and recent erratic behavior. June 13, 2008  The highly influential band has been crazy on stage for decades, but its members lead a surprisingly normal real life, according to David Browne, author of Goodbye 20th Century: A Biography of Sonic Youth. December 12, 2006  Sonic Youth, the avant-garde rock band from New York, has released a new album called Destroyed Room, a collection of previously unreleased tracks and B-sides from the band's last 12 years. 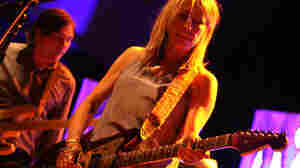 June 12, 2006  Avant-garde rock band Sonic Youth is celebrating 25 years of making music together. In that quarter-century, its members have stayed true to their roots in the downtown New York art scene of the 1980s. 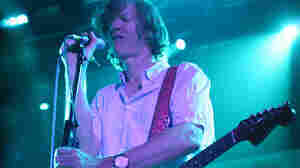 October 5, 2011  The Sonic Youth frontman talks about his new, Beck-produced solo album, Demolished Thoughts. 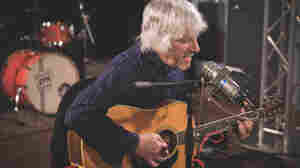 Hear and see Moore's visit to KCRW's Morning Becomes Eclectic. June 17, 2011  The best compilations are events. They mark a point in time, yet never feel dated when we look back. Hear Sonic Youth's 12-minute noise-rock contribution to Three Lobed's 10-year anniversary box set. 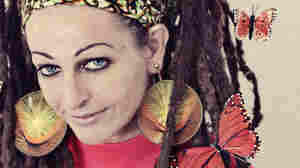 January 11, 2011  Ari Up, leader of the pioneering post-punk band The Slits, would have turned 49 on Jan. 17. 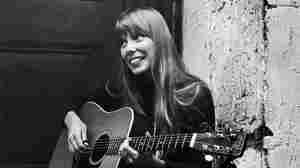 WNPR's Anthony Fantano pays tribute to the singer with a 56-song mix of music by bands inspired directly and indirectly by Ari Up's trailblazing spirit. August 21, 2006  When Sonic Youth began in 1981, the critical and commercial success they would achieve was unimaginable. 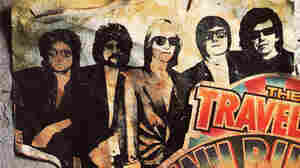 Though it began as an experiment in guitar noise and feedback, the group has cemented its legacy as one of the most important acts of its era.